Great Ebike electric bicycles / Forthcoming news in the segment of electric bikes Leader Fox. Forthcoming news in the segment of electric bikes Leader Fox. The traditional Czech manufacturer e-bikes Leader Fox has put a lot of newness and innovations into the new season. In total it is 36 brand new e-bikes models of which 20 are with central engine and 16 with rear engine. The most notable change will be the new wheel design and redesigned frame shapes with a fully integrated battery. Here comes a completely new model Leader Fox Kent 29" sports mountain pedelec with a very powerful motor Bafang M500 with a torque of 95 Nm. 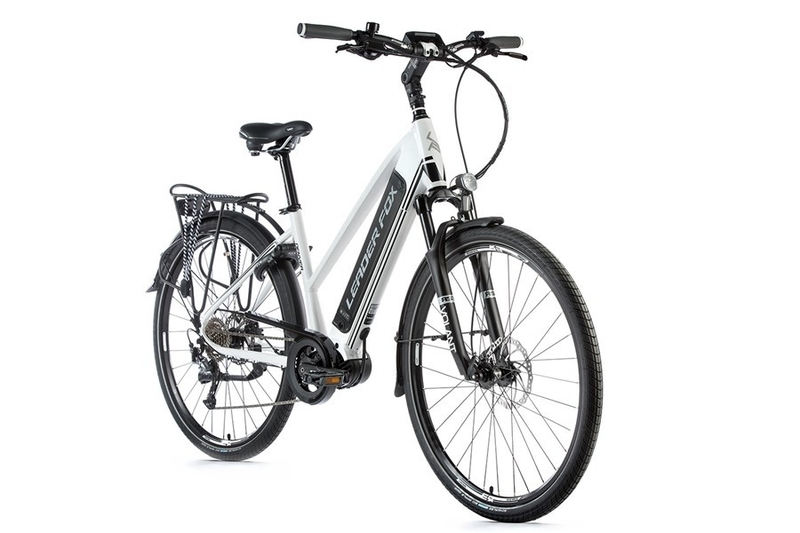 Another new e-bike is a model Leader Fox Awalon 29", which is a more affordable option perfect pedelecs with central drive in the cost less than 1750 euro. The pedelec will be available in February 2019 at version for the ladies under the name of the Leader Fox Awalon 29" Lady. Most of the mid-range central drive e-bikes have the new Bafang M420 engine. There was an integration of the battery into the frame, which is more widespread and works in masses. The new batteries have a capacity of 630 Wh (17.5 Ah). They are equipped with a smaller, clear and most importantly, perfectly controlled display. You have everything at your fingertips. The most popular of assortment of the brand on GREATEBIKE.EU remains a favorite line of urban electric bikes Leader Fox Lotus.